Our new Renault Trafic Van has arrived with our company livery added on, which we feel looks the business and we hope our clients will like it too. The van is fully self-sufficient with: water, chemicals, jet washer, vacuum cleaner and electricity, everything you need to wash cars on the go. 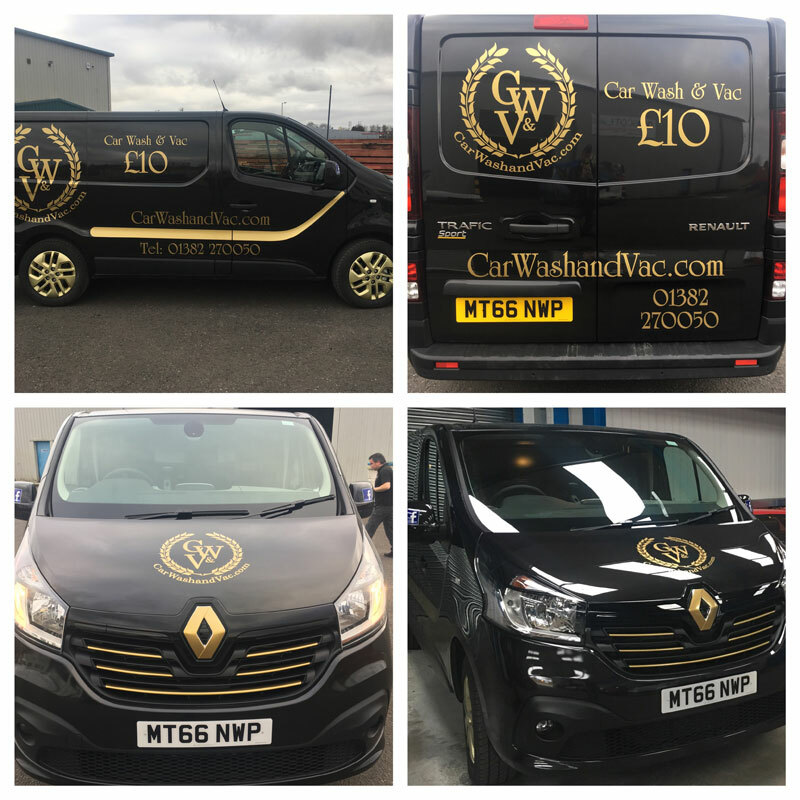 We are a professional car cleaning company based in Dundee. We will go to our client's address wherever that may be and at a time that suits them! You can contact us 7 days a week during working time hours. © Copyright "Car Wash & Vac" 2018. All Rights Reserved.